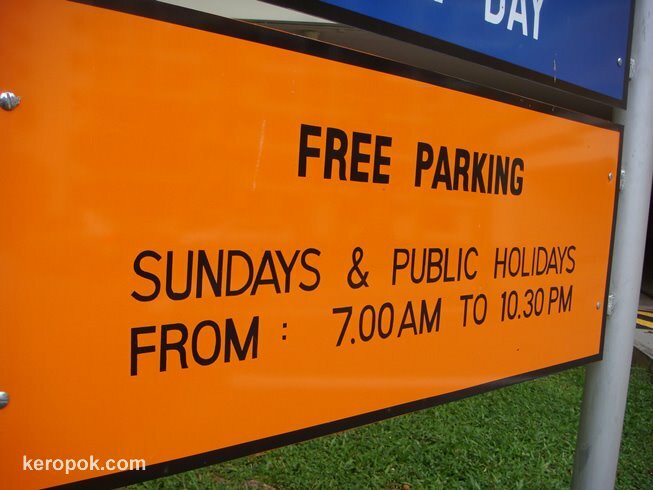 Free parking only on Sundays where this sign is displayed. Paying for parking could get expensive! Glad it is free somewhere for part of the time. This is all thanks to Dr. Tan Cheng Bock, who championed free parking in the hope of encouraging more bonding.